The talented Brazilian, back from his excellent fourth place in the first OK weekend, is ready to run the second round of the WSK Final Cup at Castelletto di Branduzzo (Pavia). Bortoleto will still be among the weekend's prominent names, thanks to a fantastic debut that immediately propelled him to the top of the new class. 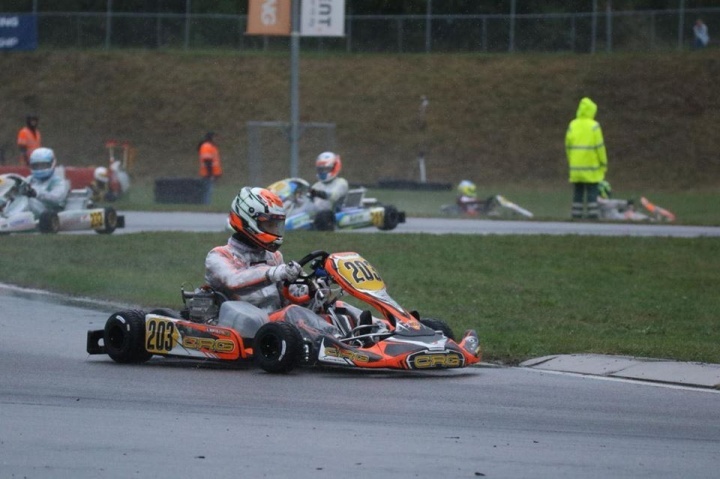 A difficult weekend, due to the often variable weather, gave the CRG driver the chance to express himself to the max, putting into practice what he had accomplished until the World Cup in Kristianstad, where he finished in third place. Having impressed in Lonato, Gabriel Bortoleto is getting ready to put on his overalls and helmet for round two of the Final Cup, this time on the tortuous 7 Laghi kart track (Castelletto di Branduzzo - Pavia), where adverse weather conditions are expected. The event starts Friday with free practice and qualifying, then into the demanding direct heats of Saturday, and the pre-final and Final scheduled for Sunday 11 November.